Hello from St Tropez. I write this post from my room at the Byblos Hotel. They just celebrated their 50th anniversary and I am so happy to be back at this iconic French property. I visited here last Summer if you remember from any of my instagram posts and am so happy to be back. I spent this morning poolside where my Mom and I have breakfast each morning. I bought this one piece bathing suit here yesterday while having lunch at Club 55 and I love that it doubles as a body suit. I wore it with high waist sheer pants (they are older from Sabo Skirt) and a hat that I got here in St Tropez as well as this little bag I picked up from the market. 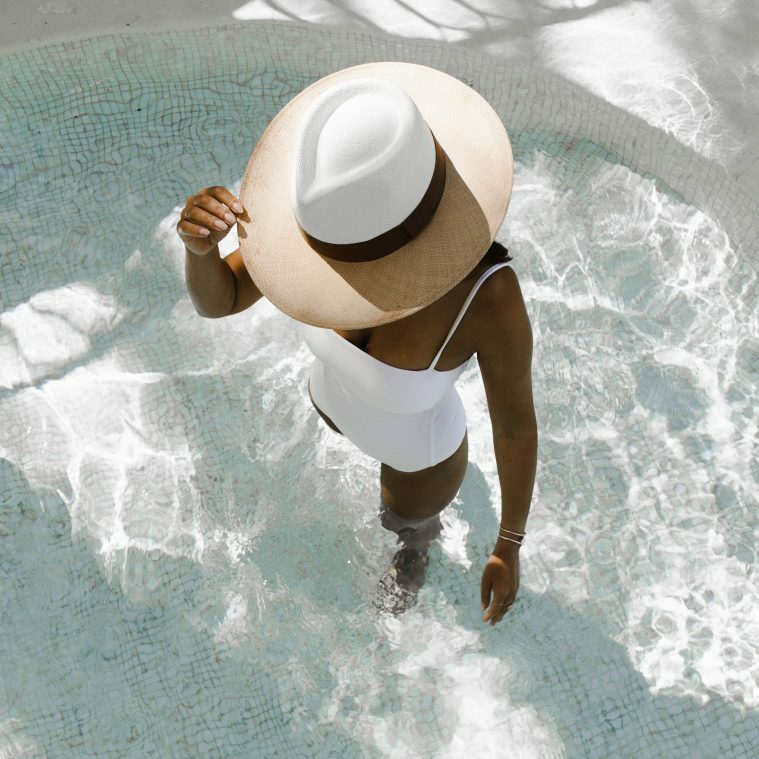 Although I got this suit here, I love how chic a white one piece looks and how easily you can wear it from breakfast right into the pool. Since these pieces I all found locally and couldn’t find online, I’ve linked some similar items to get the look below. Such a chic bathing suit!! I’m obsessed with it! It looks so perfect on with your beautiful tan. 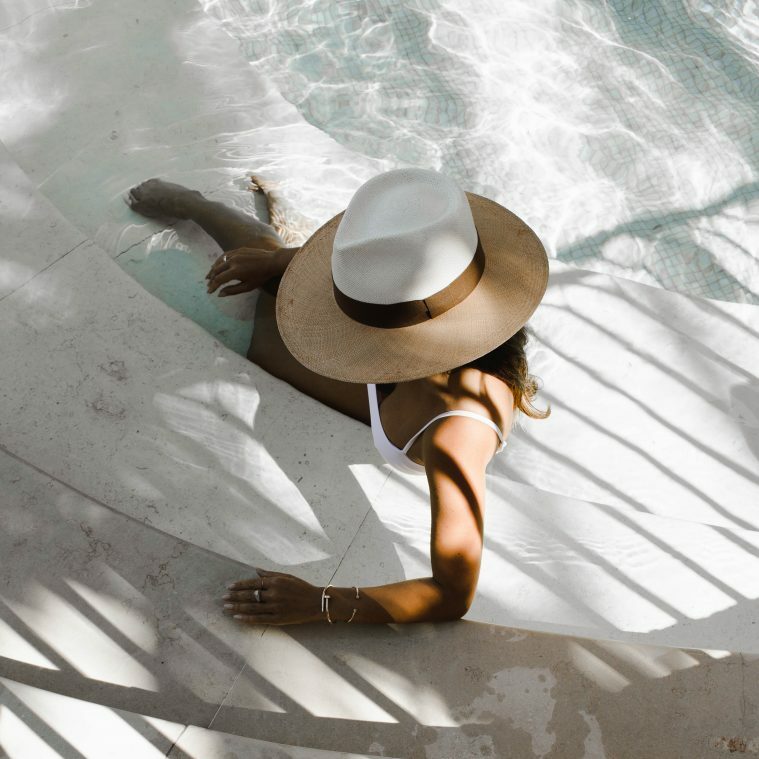 A white bathing suit is a classic staple in one’s wardrobe. Have a beautiful day! Love to follow along on istastory :). Love love love the white bathing suit!!! Also love how you paired it with those wide leg pants…it’s perfectIon! Love this beach look and the photos are gorgeous Marianna! I love How you styled this all white suit. Love this one. So elegant, sometimes simplicity is what’s most impactful! Where are your Bracelets and necklace fRom!? I love the look. I’M SO OBSESSED WITH YOUR BLOG!! YOU’RE MY INSPIRATION! can you tell us the brand of the bathing suit, because i would like the exact same one, and the options you provided are similar, but not what i’m looking for. thank you!